SCADA stands for Supervisory Control and Data Acquisition. This is a full-scale monitoring and control system. To ensure the proper functioning of the SCADA system, Ethernet interfaces to the PLC (controllers), controlling the departure subsystems are necessary. The whole system can be remotely managed. It is possible to check the placement of bags and current status of conveyors. 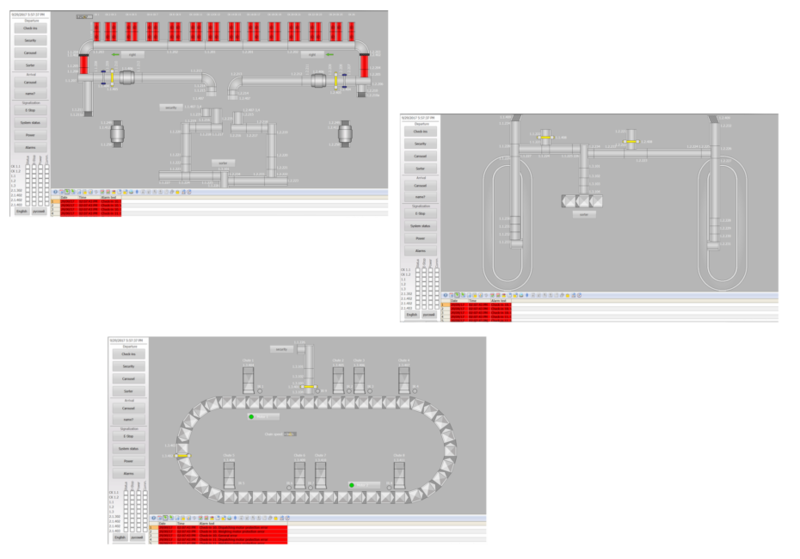 Integration with CTX allows display its status on SCADA screen. The operator has an overview of the events in the PLC network and the whole BHS system, as well as the ability to manually control every element in the system.